In response to a US Navy (USN) proposal for a new dive bomber, Curtiss came up with its Model 84. From half a dozen designs submitted, those of Brewster and Curtiss were considered most suitable, both incorporating the new 1700-hp Wright R-2600 Cyclone 14-cylinder two-row radial, conforming adequately with the Navy Bureau of Aeronautics specifica-tion. Work on the design that would become the SB2C started in late 1938 and the US Navy Bureau of Aeronautics ordered a prototype, the XSB2C, on May 15,1939, and of the XSB2A1 (Brewster). However, before the prototype flew, the US Bureau of Aeronautics ordered 370 production models, designated SB2C-1. Named Helldiver, the aircraft turned out to be possibly the most complex single-engined aircraft developed for the USN at the time. Its Wright R-2600 engine was reliable and proven, but the overall design was beset by design and systems problems. The Helldiver was conceived as a mostly all-metal, low-monoplane wing design fielding a crew of two seated in tandem within a long cockpit - the pilot in the forward area and the tail gunner in the aft. The fuselage sported straight wings with a tapered trailing edge and rounded tips. The US Navy Helldiver was produced with a reinforced and retractable undercarriage as well as an arrestor hook for carrier operations. Ordnance could be held in the internal bomb bay (including a single torpedo) as well as along two underwing hardpoints. Standard armament included a pair of fixed forward-firing 20mm cannons (4 x 12.7mm heavy machine guns in earlier production models) in the wings and a pair of 7.62mm M1919 Browning air-cooled machine guns in the rear cockpit. Curtiss and the Helldiver became the focus of several Congressional investigations, one being led by Harry Truman. Recommendations were made that production of the aircraft should be stopped or drastically curtailed because of seemingly insurmountable problems. Another major problem was that Curtiss did not have the production facilities to build its new aeroplane in quantity, so the USN erected a new factory at Columbus, Ohio, for that pur-pose. As each problem was resolved, another appeared, but this did not deter the US Army from ordering the aircraft as the A-25. This contract was a direct result of the effectiveness of the Luftwaffe's Junkers Ju 87 Stuka, and the army's machines were to be constructed at the Curtiss plant in St Louis. However, as orders poured in for a range of variants, licensed pro-duction was set up at the Canadian Car & Foundry and the Canadian Fairchild factories. Problems aside, the various factories would eventually deliver a total of 5,516 Helldivers, the last rolling off the production line in October 1945. 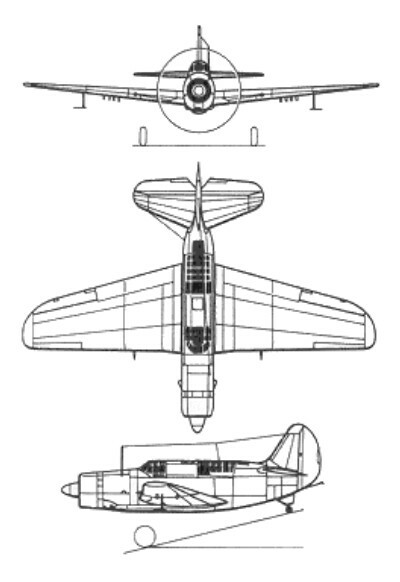 The Curtiss design followed that of such predecessors as the P-40 Hawk and SBC Helldiver series, but had a short, stubby fuselage to comply with the stowage requirement. First flight of the prototype XSB2C-1 was made on December 18, 1940. During subsequent tests, excessive weight and positioning of the rear gun installations posed problems; the wing area had to be increased by nearly 10%, to 39.2 sq m (422 sq ft), to give adequate maximum lift; and the dive-brakes were modified to reduce the excessive dive speed experienced during experimental flight tests. The prototype, powered by a Wright R-2600-8 of 1,700 hp, was plagued with problems. The prototype XSB2C-1 was badly damaged in a crash on February 9,1941, rebuilt and flying again by May 6 that year with numerous changes, and then completely destroyed in another crash on December 21 the same year. Production aircraft incorporated more than 800 changes including larger, self-sealing fuel tanks, increased armour and a larger tail. Armament for the first 200 aircraft consisted of four 0.5in wing guns (later models had one 20mm cannon in each wing panel) and two 0.3in guns for the observer. The bomb bay could house a 1,00 lb bomb to be dropped in a steep dive slowed by the massive perforated wing flaps. Underwing pylons could carry depth charges or auxiliary fuel tanks. A production order for 370 SB2C-1s had been issued by the US Navy in November 1940, calling for deliveries to begin in December 1942, and from then onwards at a rate of 85 aircraft per month. By January 1941 the order had been increased to 578 machines; but matters were not improved when the prototype again crashed in December 1941, a fortnight after Pearl Harbor, due to wing and tail failure during a dive. This left the production team without a flight -test aircraft, but trials continued on mock-ups and components, with improvements being made on the production design to include two 0.50-in (12.7-mm) guns (instead of one) in each wing, leakproof wing fuel tanks, plus cockpit and rear-gun-position armour plating. It seemed evident during 1941 that the initial delivery date would not be met, but the attack on Pearl Harbor in December 1941 provided the impetus to give the building programme top priority. Production flight testing began on June 30,1942 - some six months behind schedule. The first four pro-duction SB2C-1s were 'hand-built' for further testing, with subcontractors being used to help accomplish the task in hand. New radar, IFF and radio installations were tested and approved, and in May 1942 1000 Helldivers were ordered from the Canadian Car and Foundry Company of Fort William, Ontario, Canada, 450 of which were ear-marked for the Royal Navy in the UK. Armour, self-sealing tanks, protected fuel and oil lines, increased armament, a lengthened fuselage and a completely new tail unit with greatly enlarged fixed and moveable surfaces were incorporated in the production SB2C-1. The SB2C-1 (A-25) production version, 978 of which were built by Curtiss, was powered by a 1,267kW Wright R-2600-8 engine driving a three-bladed Curtiss Electric constant-speed propeller. Between June 30, 1942 (the first flight of the first production SB2C-1) and December 1942, when the first aircraft were delivered to VS-9 Squadron, more testing for structural stability and safe diving techniques had been carried out. Basic armament on initial production SB2C-1s comprised two fixed, forward-firing 20-mm (0.79-in) cannon in the wings, a 0.50-in (12.7-mm) gun on a power-operated mounting in the rear cockpit, and a maximum internal bombload of 454 kg (1000 lb); powerplant was the 1700-hp Wright R-2600-8 radial. In December 1942, the first squadrons went aboard the new Essex-class carriers but the aircraft were so deficient that they were declared non-operational. Truman's committee found the Helldiver "hopelessly behind schedule and that [by April 1943] Curtiss had not succeeded in producing a single SB2C usable as a combat airplane despite expensive self-praise in advertising". Curtiss lobbyists managed to secure further contracts and Curtiss engineers made constant redesigns. Two hundred Helldivers were built to this standard, but were still prone to arrester-gear troubles, tailwheel collapse and other struc-tural problems. After further stages in the modification programme, production of a further 778 aircraft took place under the designation SB2C-1C, with two 0.30-in (7.62-mm) guns (on an improved mounting) in the rear cockpit, hydraulically-operated wing flaps, and most of the earlier problems over-come. This batch were fitted with non--retractable tailwheels and self-sealing fuel tanks. On October 21, 1943, Squadron VB-17 aboard the USS Bunker Hill finally took the Helldiver into action when this carrier sailed to join the Essex and Independence in action against the Japanese at Rabaul harbour, New Guinea. Here, on November 11, with the loss of very few Helldivers, a considerable amount of damage was inflicted upon the enemy's land-based Zero squadrons and on shipping in the harbour. Up to November 1943, (when the Helldiver first went into action in the Pacific theatre of war) more than 880 design changes were made. 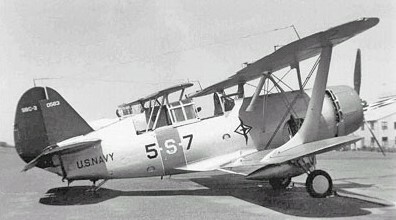 Some were part of the Army-Navy standardisation programme to permit the production of an Army version of the Helldiver as the A-25, which later served with the Marine Corps. By the end of 1944 every large American carrier was equipped with a Helldiver bombing squadron. By the end of March 1944 the factory at Columbus, Ohio, had built 978 SB2C-1/-1Cs, and this included the XSB2C-2 which was fitted with huge Edo floats and intended for the Marines, delivered in 1943. The USAAF did not want the aircraft, and used them only as target tugs and for other mundane tasks. This was followed by the SB2C-4, with the same powerplant, but capable of carrying eight 5-in (127-mm) rockets or another 454-kg (1000-lb) bombload under the wings. Some were equipped with radar and designated SB2C-4E, and a total of 2045 of the -4/4E versions were built. The subsequent 970 SB2C-5s had increased fuel capacity and were basically a long-range variant of the -4E. During production, Curtiss and the USN strove to eliminate problems and improve the design. The ultimate production variant was the SB2C-5 (970 delivered, US Navy Bureau Numbers 83128-83751, 89120-89465), which had greatly improved combat effectiveness and APS-4 radar. Wing racks could carry an additional 1,000 lb of bombs or eight 5in high-velocity aerial rockets. Handling characteristics were massively improved by perforating the dive brakes, while increased fuel capacity extended the type's range. Nine hundred Helldivers built by Curtiss were purchased by the USAAF and given the Army designation A-25A Shrike. They were, however, used only for second-line duties such as training and target towing, and 410 of them were transferred to the US Marine Corps in 1943 as SB2C-1As. Ten others were supplied to the Royal Australian Air Force. 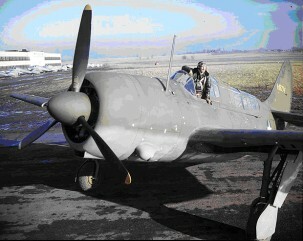 Canadian Car and Foundry was awarded a contract for 1,000 Curtiss SB2C Helldivers, designed to replace the Douglas SBD Dauntless. Iinitial development of this, the third Curtiss design to bear the name Helldiver, had begun in the US in 1939 and it was claimed that it would be capable of carrying a bigger bomb load, faster and farther than any other single engined dive-bomber, but the aircraft was plagued by stability and structural problems. Both the prototype and the first production model suffered in-flight structural failure and the first machines to go into service encountered so many problems that at least three major modification programmes were required before the type became acceptable. At Fort William one aircraft was destroyed and one damaged beyond repair during test flights. The first of the Can-Car Helldivers, designated SBW, flew in July 1943 to be followed in August of that year by the first flight from an order of 300 Helldivers, designated SBF, which had been placed with Fairchild Aircraft in Quebec. The SBW was identical to those produced by Curtiss in the US being a single-engined, two-seat, monoplane dive-bomber, capable of delivering a 1,0001b bomb load (the 'dash numbers' signifying similarity to the SB2C-1, -3, -4 and -5). It mounted two cannon in the wings and .50 machine gun in the aft cockpit. Apart from the fabric covered control surfaces, it was of all-metal construction, with folding wings for aircraft carrier stowage and with dimensions designed to allow it to fit the standard carrier deck lifts. The SBW-1 was powered by a Wright R-2800-8 engine, but later variants were fitted with the R-2800-20 and had wing racks installed to bring the bomb load up to 2,0001b. The wings were also fitted with jettisonable fuel tanks and from the SBW-4 onwards had improved wing flaps and dive-brakes installed. By the end of the war, when production was cancelled, Can-Car had produced 833 of the original 1,000 ordered. This compares with a total of over 5,000 Helldivers produced in the United States. Almost all of the SBWs were delivered to the US Navy, but of the 450 original earmarked for the UK, 26 SBW-1s actually reached the Fleet Air Arm under Lend-Lease in 1944, and these were never used oper-ationally. There is some doubt as to whether these were actually taken into service, however. In addition to complete aircraft, CCF also provided a large number of components such as oleo legs and propeller blades for the Curtiss company. The Canadian Fairchild Company produced 300 SBF-1, -3 and -4 Helldivers (also corresponding to Curtiss-built -1, -3 and -4 models), bringing the total production of the SB2C series to 7200 aircraft. The Helldiver's main theatres of operation were the Philippines and the Pacific, where they replaced the SBD Dauntless as the standard USN scout/bomber during the sec-ond half of the war. They served in many naval air actions during the remainder of the Second World War and, in the case of the later models, for a while after. Two experi-mental versions were the XSB2C-2 (an SB2C-1 (fitted with twin floats) and the XSB2C-6 (with a 2100-hp Wright R-2600-22 engine installed), but neither was considered suitable for series production. The RAAF enjoyed considerable success with the Vultee A-35 Vengeance in the dive bombing role against the Japanese. Wanting to enlarge its air force, Australia placed an order for 150 A-25A Shrikes. However, Gen George Kennedy was strongly critical of the A-35 mission despite excellent results, and stated that the Australians did not have enough pilots to fly the Shrikes, even though the RAAF denied this. Kennedy got his way and the A-35 Wing was withdrawn from New Guinea. In order to replace their Dauntlesses, worn out from combat in Indo-China, France obtained an initial batch of SB2C-5s in 1950. They saw heavy action against communist forces and introduced napalm to the field of combat, operating from the carrier Arromanches and land bases and the final Helldivers were withdrawn from Aeronavale service in 1955. In view of the communist threat to Greece 42 SB2C-5s were delivered, starting in 1949, which formed a training unit and the 336th Light Bombing Squadron at Larisa, replacing the Supermarine Spitfire. The Helldivers saw considerable action in the civil war, attacking communist forces backed by the Soviets and Yugoslavs. The type was effectively retired in 1954, replaced by F-84s. Worried about communist threat, the USA supplied 25 SB2C-5s to Italy. However, the 1943 surrender agreement specified that Italy could not operate bombers so, in a bureaucratic move, the designation was changed to S2C-5. Some examples were used for anti-submarine patrols and participated in NATO exercises. Further Helldivers were supplied to the Italian Air Force and two were gifted to the Italian Navy in the USA where a couple of Italian Navy pilots were trained on them, the only Italian S2C5 fitted with tailhooks. In 1953 the USA supplied the Italian Navy with 46 examples; they were never used, and by the early 1960s these aircraft were scrapped. The USA supplied Portugal with 24 SB2C-55 in 1950; they were operated by the Navy until 1952, then transferred to the Air Force. All were out of service by 1956. The Royal Thai Air Force received six SB2C-5s during 1951, and these aircraft were flown on combat missions against communist forces until 1957. In all, 5105 Helldivers were built at Columbus, 900 A-25As at St Louis, Missouri, 300 SBFs a Fairchild-Canada and 834 SBWs at Canadian Car and Foundry. The last Helldivers soldiered on until June 1949. Production: a total of 5516 of all variants. Engine: 1700-hp Wright R-2600-8 radial. Engine: 1 x Wright Cyclone R-2600-20, 1,900 hp (1417 kW) at 2,1300 rpm at sea level. Maximum speed: 260 mph (418kmh; 226kts) at 16,100ft. Climb to 10,000 ft: 8.9min. 2 x 7.62mm Browning M1919 machine guns on a flexible mount in the rear cockpit. Up to 2,000lbs of ordnance in the internal bomb bay including 1 x Mark 13-2 torpedo. Up to 500lbs of ordnance across two underwing hardpoints.